June 2017 | SolFarm Solar Co.
How many years is too many before the payback period on a solar energy system is no longer worth the investment? 9? 10? 14? For many of our customers, the number generally falls somewhere in this range. 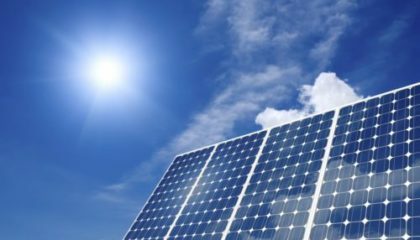 Solar panels are a considerable upfront investment and, like any good financial decision, people want to see when their investment pays off. It’s sound economics, right? 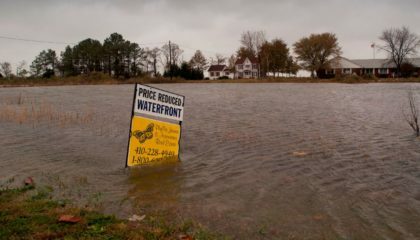 I say no because the value gained out of installing a solar energy system goes far beyond what you see on the ROI sheet. However, these are typically the only numbers most people take into consideration. This is a missed opportunity in my book. 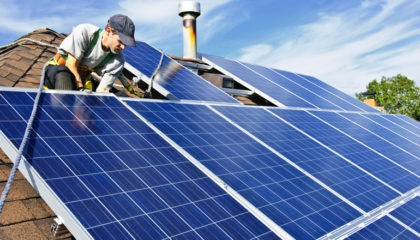 The true financial payback from installing solar panels could be well over 200% for many homeowners; of course add on the environmental and social returns that come with it and you’re sitting on a hefty payback that does well for both the world and your wallet. We crunch numbers and reduce margins left and right trying to get the ROI to an acceptable time-frame- which, as a business dedicated to making solar affordable for everyone, is kind of our mission. We want to give you the lowest possible price we can, and we’ll do it every single time. But sometimes we feel like the concept of “payback” has become this odd entity that looms over solar panels more than it does anywhere else. When we go to buy a TV, are we considering what the payback is? When we buy mulch for our yard, are we considering the payback for that? When we buy a new car we’re obviously getting use out of it, but when’s the payback for that coming? We derive use and pleasure out of all of these things and we never once stop and ask ourselves “When will this start making money for me?”. It’s just not a thought that comes to mind. We blindly accept that these goods and services cost money and we throw it at them with no regard other than wondering how long they will last us. 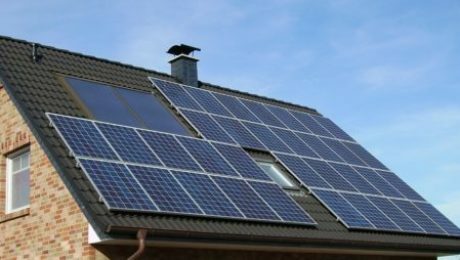 When you buy a solar energy system you get use, you get a payback, and if you sell your home the added resale value you can fetch is roughly the cost of the original system itself. Solar panels not only add value to your property, but they also help sell your home an average of 20% faster than homes without a solar PV system. 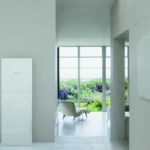 In a post by solar website The Cost of Solar they break down exactly just how much you can expect to recoup from installing a solar energy system. They then go on to explain how it’s possible to recoup a 200%+ return on your solar panel investment. They nailed it- as far as financial decisions go, this one is a potential no-brainer. In the case of SolFarm Solar Co. President and Founder, Mike Diethelm, the decision shouldn’t just rest on the financial savings. He touched on the environmental motivations and reasonings in a passionate piece he recently shared with SolFarm staff. So there you have it. 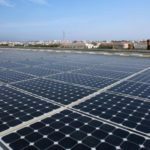 While we understand that affording a solar energy system is not in the budget for every homeowner, we wanted to shed light on the different ways that you can turn solar panels into a brilliant investment. Not just for your wallet, but for our planet’s future. 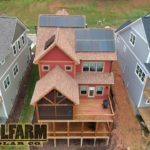 As always, Solfarm Solar Co. would love to help you jump start this investment into your energy future. So contact us today for a free quote or even a simple discussion about how solar can be the right choice for you. For our first SolFarm Solar Employee Spotlight, we are more than proud to feature the immeasurably passionate and talented Kelly Gloger. 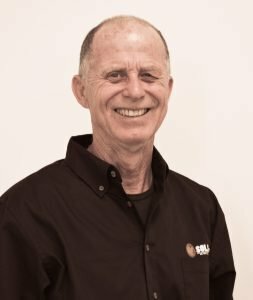 Throughout his professional life Kelly has focused mainly on the areas of Sustainable Design and Planning, and brings with him an incredibly impressive resume. 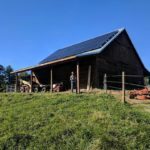 Kelly has been working with SolFarm as a Project Developer for roughly two years, after he and his equally talented partner, Bonnie, and their two dogs moved to Asheville from the US Virgin Islands in February of 2015. 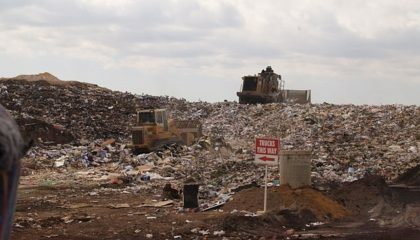 Kelly is the son of a dairy farmer and attributes this upbringing as the source of his interest in agriculture and the beneficial reuse of waste materials. As the years progressed, so did Kelly’s interests. He developed passions for renewable energy systems, wastewater reclamation and reuse, community organizing, and planning. After attending architecture school at the University of Houston, Kelly worked in New England designing and installing passive solar thermal systems. He was then hired as the executive director of the New Hampshire Solar Self-Help Program, a program that assisted low and moderate-income families in the design and installation of solar heating systems for their homes. 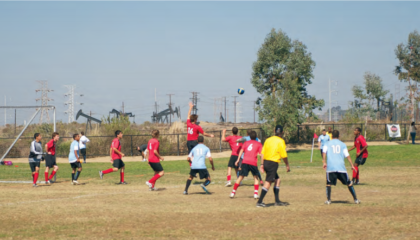 Following this foray into the renewable energies field, Kelly refocused his interests on wastewater treatment systems. He worked for two New England engineering firms marketing natural wastewater treatment systems, and soon after returned to school to acquire his Master’s of Science in wastewater treatment technologies for aquaponic food production systems from Texas A & M University. His graduate school research brought him to the island of St. Croix in the U.S. Virgin Islands, where he was soon hired to work for a commercial-scale aquaponic farm. Following that job, Kelly then worked for Caribbean Infra-Tech, a sustainable design company. He eventually landed a position as a senior associate and master planned the conversion of a 1,200 acre brownfield into an eco-industrial park, among several other projects. After seven years with CIT Kelly founded Solar Delivered!, a renewable energies company that services commercial and residential properties across all three U.S. Virgin Islands. In 2014 Solar Delivered! 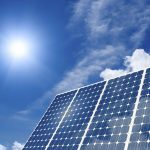 was voted best solar company on St. Croix. In February of 2015, Kelly and co. then relocated to Asheville, NC, where he currently resides. Kelly’s other passions include sustainable planning and community organizing. Taken from his website, he writes “I have always believed that when a community is involved in planning its own development and future, the final product is superior and embraced.” During his 20 or so years in the Virgin Islands Kelly attached himself to several highly important projects that sought to exemplify this philosophy. These projects include the planning of multiple eco-developments, residences, and parks; he has also served on various boards for community projects such as the Virgin Islands Farmers’ Cooperative and the St. Croix Farmers In Action. He continues to be an activist and deeply involved community member here in Asheville, NC. In addition to being a highly accomplished professional, Kelly is also an avid fun-haver. He can be found navigating the streets of Asheville, sometimes on his road bike, other times on his long-board. He can also be found out in DuPont and other WNC forests on his mountain bike. In their downtime, Kelly and Bonnie spend countless hours working around their home. Inside, Bonnie has filled the space with her art and vivacious plants. Outside, they have worked together to transform their property into an environmentalists’ Shangri-La. Two rain water cisterns capable of catching 600 gallons for on-site water reuse flank the garden gate (however their form is so beautiful you would never guess they were anything but art), under the ground a gravel infiltration basin for water runoff has been constructed. Their large vegetable garden is flanked by fruit trees and fully nestled among pollinator indigenous landscaping. On their roof, a solar PV system. We are incredibly lucky to have such an accomplished individual and visionary on our team! Kelly is a wonderful asset and a true joy to have around. We would also like to note that Kelly and Bonnie are the hosts of our upcoming solar open house! 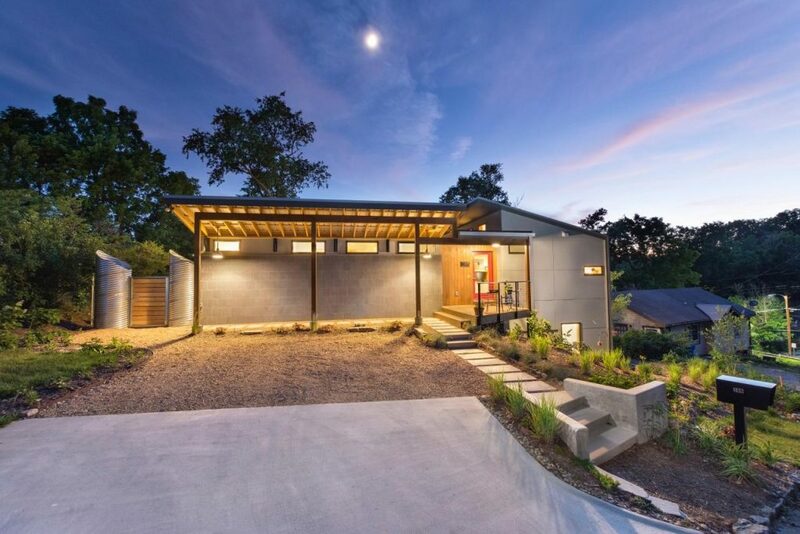 The beautiful home pictured above will be open to the solar-curious from 2 to 4 pm on June 24th. Kelly, Bonnie, and the SolFarm team will be there to answer any of your solar questions. You can RSVP to the event here via the Facebook event page. Happy Tuesday blog day! 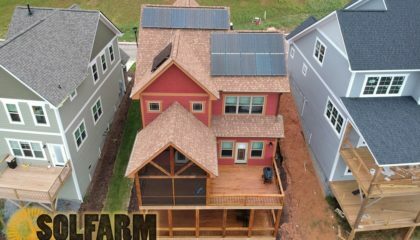 Today we are excited to showcase one of our newest Asheville solar projects: the Thelen Household. Belonging to Rachel and John Thelen, this house is a quintessential Asheville gem. A stunning mish-mash of trees and herbs perfectly harbor the mellow orange home, a funky wooden fence with random porthole like openings frames the backyard area, prayer flags connect their home to their neighbors; It’s eclectic, it’s beautiful- it’s downright Asheville. Now, it’s almost completely powered by the sun! 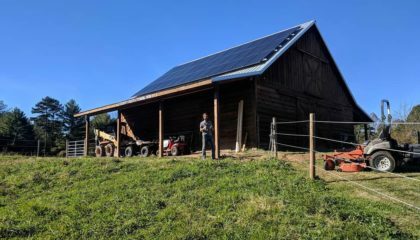 The Thelen’s are now the proud owners of a 5.44 kW solar electric system, capable of producing 8,119 kWh of electricity a year and complete with two charging ports for their electric vehicles. All told, their carbon savings from going solar total 5.7 metric tons of carbon dioxide per year. That’s equivalent to 642 gallons of gasoline consumed, or 1.2 passenger vehicles driven per year (calculations done thanks again to our handy friend the Greenhouse Gas Equivalencies Calculator). 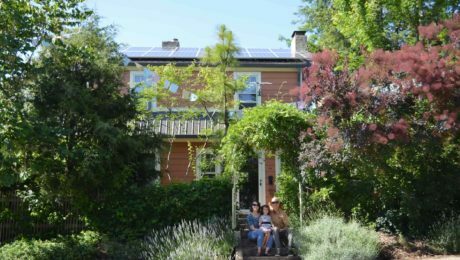 With their two electric vehicles and their sun powered home, the Thelen’s are carbon saving machines! Admittedly, this argument is subjective. Your personal taste and my personal taste may be completely different, I can’t tell you or anyone else what is and isn’t beautiful. I can, however, make the claim that solar panels are now the most attractive they have ever been. In addition to making leaps and bounds in terms of efficiency, manufacturers have really turned an eye towards their design. 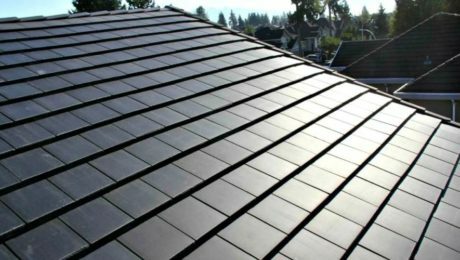 Panels are slimmer, they can come in sleek all-black, we even have panels that are constructed to blend in seamlessly with your shingles. This is the future, people. 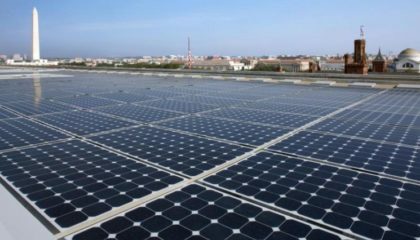 We have the ability to generate usable electricity by sticking layers of silicon up on our roof- and an argument against it is that we can see it? Personally, I like the look of solar panels. Take a second to scroll up again to the picture of the Thelen household…it’s an attractive house, isn’t it? Those panels look great up there! At the very least, they’re barely noticeable. 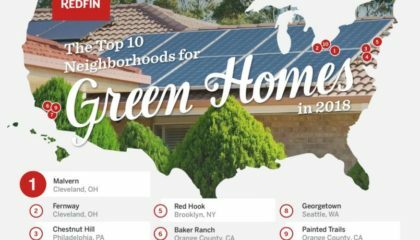 In celebration of beautiful solar households, here’s a link to an image gallery of 10 beautiful solar residences. My personal favorites are the ones where the architects have designed the home with solar in mind, such as 3, 5, and 9. The way the panels have been worked into the overall design of the home is absolutely enchanting, and something I’m sure we’ll be seeing more of in the coming decades. Now, onto my second point. Electric vehicles have been the way to go for a long time. It would be wrong of me to say otherwise. However, it is no secret that they really haven’t been the most convenient vehicle to own, without a doubt there are limitations. Charging stations are sparse depending on where you live. Here in the south it’s an uphill battle sometimes to find a station, and when you depend on that electricity to move your vehicle, the thought of being stranded is fairly intimidating. When you own a solar energy system, the issue of finding a station is generally moot. You know what other problem it rules out? Fluctuating gas prices. No longer do you have to coordinate what route to take with the cheapest gas station- you’re charging for free at home! You’re also no longer filling up with fossil fuels and shooting out an average of 4.7 metric tons of CO2 each year. You’re running on sunshine! 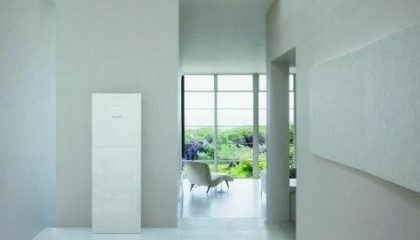 One more fun detail, according to this Energy Storage News article, it is very likely that your car will continue being a green machine longer after it’s dead- through re-purposing it’s battery for home energy storage. All told, electric vehicles rock! There’s also a great selection of cars on the market now that cover a whole range of price points. It’s probably a good time to get one, or look into getting one. In the event that you decide to, or if you already own one, here’s a handy map to the public EV charging stations in Asheville and the surrounding areas. 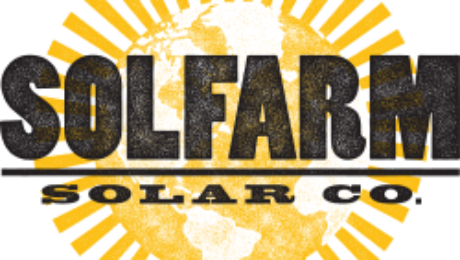 As always, you can count on SolFarm Solar to install an EV charging station with your newly installed solar energy system. Bundle those savings! We’re here to help.